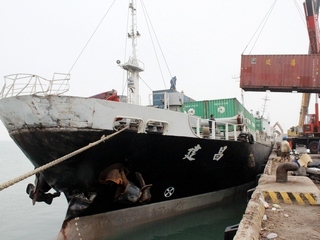 The 1500 ton container vessel Chien Chang collided in dense fog with a 2,000 ton freighter near Kinmen Island, China. The Chien Chang suffered damage to its bow with a hole above the waterline. No reports of injuries on either vessel. The crew of 12 from the freighter had abandoned ship and were picked up by a rescue ship. Authorities have launched an investigation into the incident.